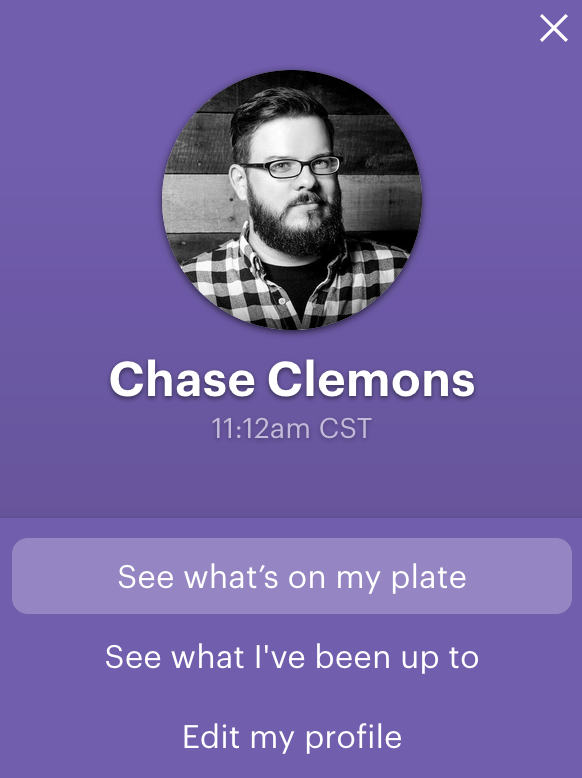 You can change your photo, time zone, theme color, and more from Basecamp 3's My Profile page. Click on your avatar in the upper right corner to get there! Once you're there, you can make changes to your personal user ID in Basecamp: Your photo, name, title, Bio (or current status) time zone, your preferred first day of the week, and the way you sign in. 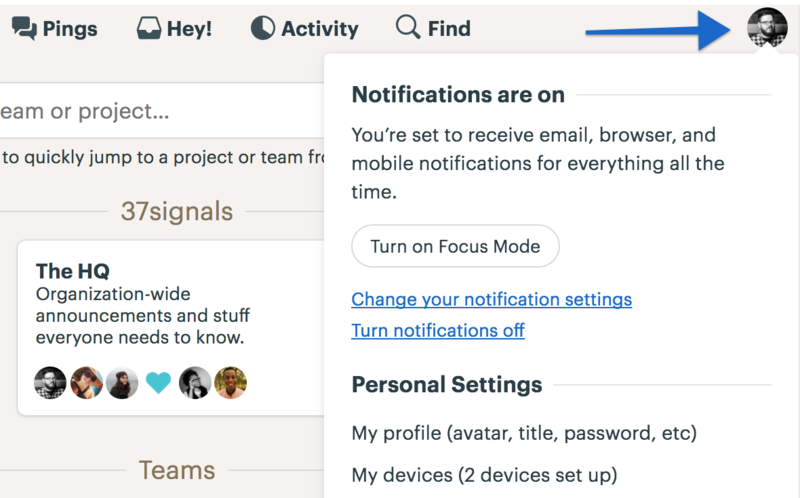 This information also appears in your profile card when other people in your Basecamp click on your avatar throughout the app. Changes made to your photo, email address, name, and time zone will also sync across any other Basecamp accounts you're a part of via the Launchpad. 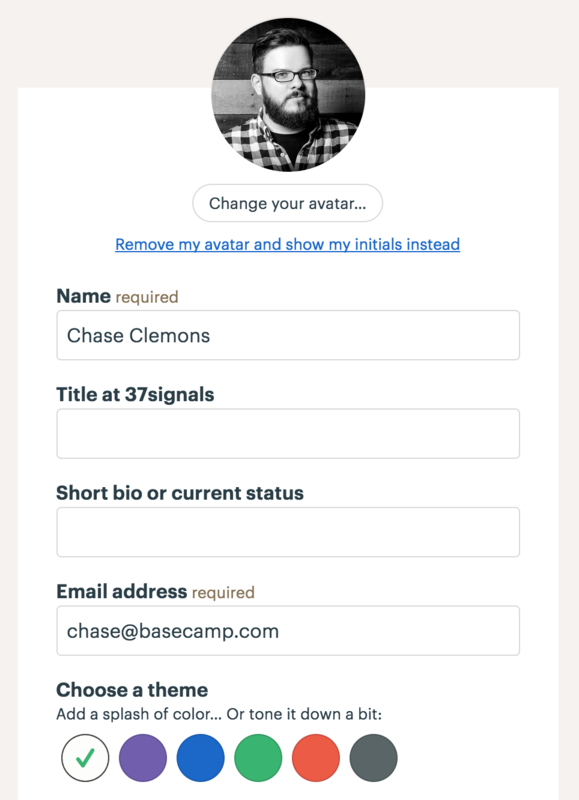 Changes made to your theme won't sync across your other Basecamp accounts.